This car is stunning in person. Great car and a great owner too. Without a doubt, my all time favorite sYc Chevelle! The White just grabs you and the black stripes and Correct Wheels complete the package. Add in the incredible owners and this combo goes over the top. That car is beautiful! 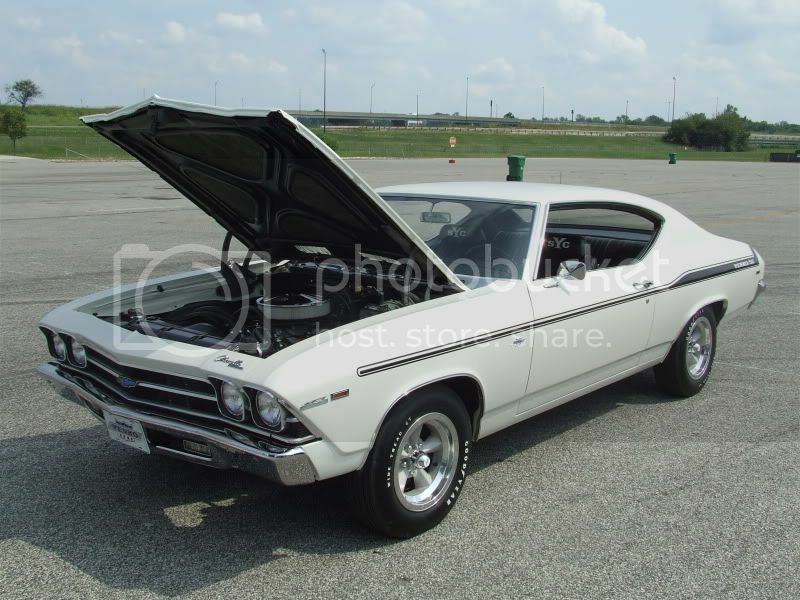 From one Dover white Chevelle owner to another great car! I agree with the Great White North.. Very cool. Was it originally a stripe delete car? I didn't notice any in the pre-resto photos. Or maybe I'm losing my sight. haha. An awesome car and a great owner!!! on your first post with the photos. the 10th photo looks as though the car once had a vinyl roof? did it have a vinyl roof or is that just a lot of rust showing?